The herb garden in flourishing happily and I’ve been dreaming up new recipes where I can use a bunch of them so none go to waste. Besides chopping them up and putting them in salads, using them on our grilled pizzas, making herbal simple syrups for iced tea, baking them into cakes and breads, folding them into omelettes, simmering them in soups, using them in dessert compotes, kneading them into pizza crusts and herbed bread bowls, sprinkling them over rice pilaf, blending them into dressings and pestos, steeping them for fresh herbal tea, garnishing summer drinks, tucking them into Mezzaluna bread, brightening the flavor of humble, sweet garden peas, adding them to hot cheese dip, whisking them into quiche batter, drizzling them over pink peppercorn chevre, making maitre d’ butter for steaks and sugar scrubs for gift baskets … I like using them in my buttermilk biscuits and dumplings. 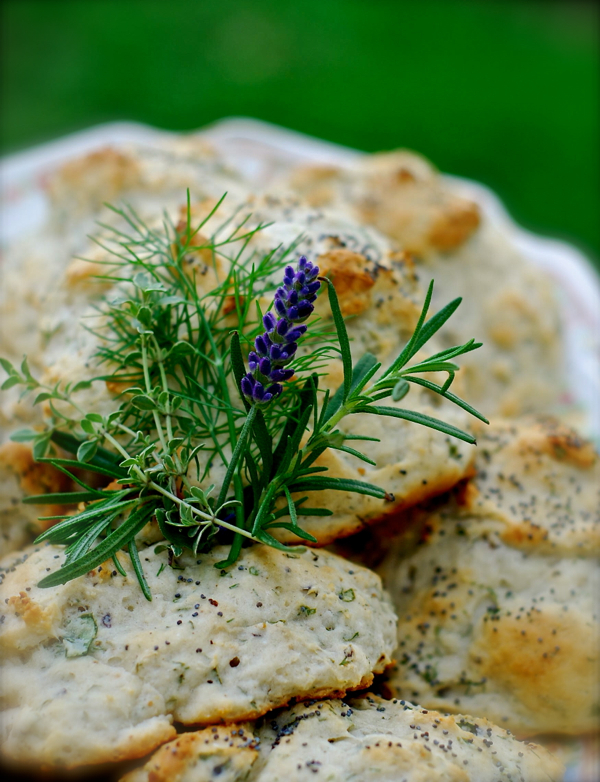 Here’s a simple recipe for herbed biscuits. I love using Bisquick when I’m running short on time and I want something delicious to serve with soup. These biscuits also make amazing breakfast sandwiches! Just split them and fill with eggs, bacon and cheese. Mix all ingredients in a mixing bowl until everything is evenly moist. Don’t over mix. Drop by spoonfuls onto an ungreased baking sheet, about 2 inches apart. 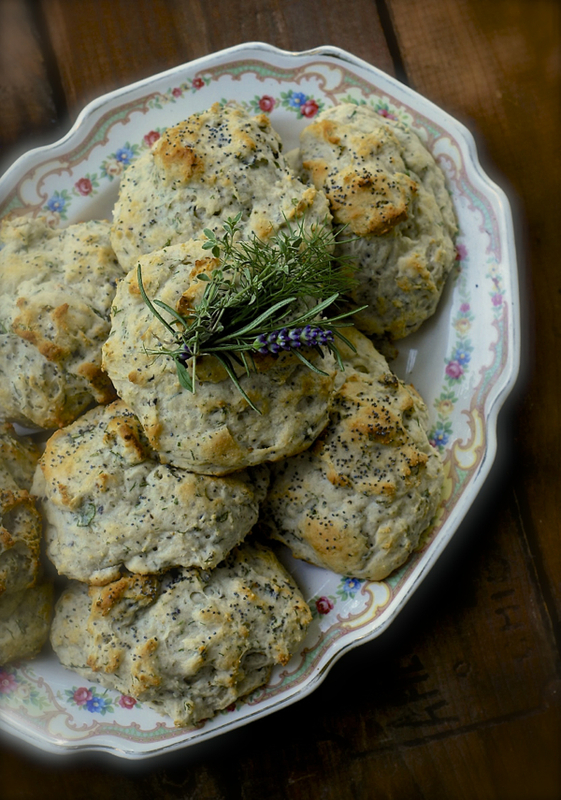 Sprinkle with poppy seeds, if you wish, and bake for 10 to 15 minutes or until the biscuits are a light golden brown on bottom and along the edges. This recipe makes 8 big biscuits.